The Recappers Have Returned! 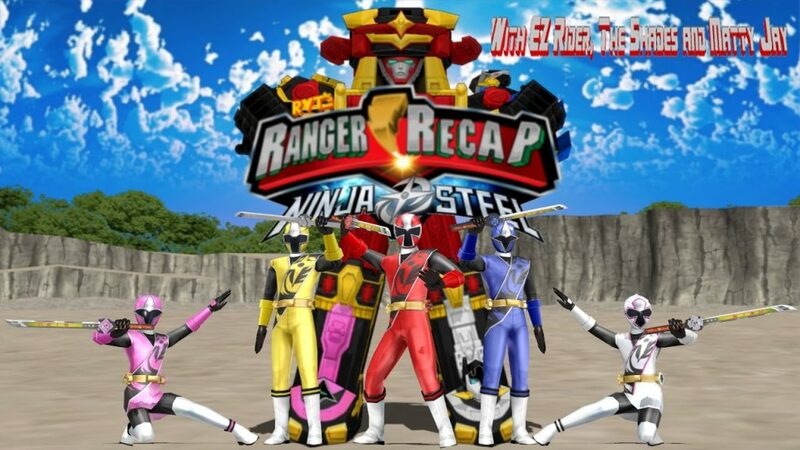 With Ninja Steel now on the Scene, we find out if it Sneaks in a good start, or if it commit Seppuku on it’s start. We also discuss a TON of Movie News, along with Games and DVD Releases. All this, plus your E-Mails, tonight on Ranger Recap! So, episode 1 of the new PR series and what can I say? It was good and Brody wasn’t as annoying as his Sentai counterpart and thank Daizyujin! He didn’t have an annoying catchphrase! And seeing Yoshi’s little bro acting as our new blue was really good and Sarah was a treat to see…it doesn’t hurt that she is cute. Now, seeing the “Baron Nero” stand-in was unbearable because I liked what he looked like in Toqger and plus, seeing that Vijinx losing to a Fear Cat was what exactly I was thinking because I know EZ liked RPM but hated Operation Overdrive…so, that’s it.